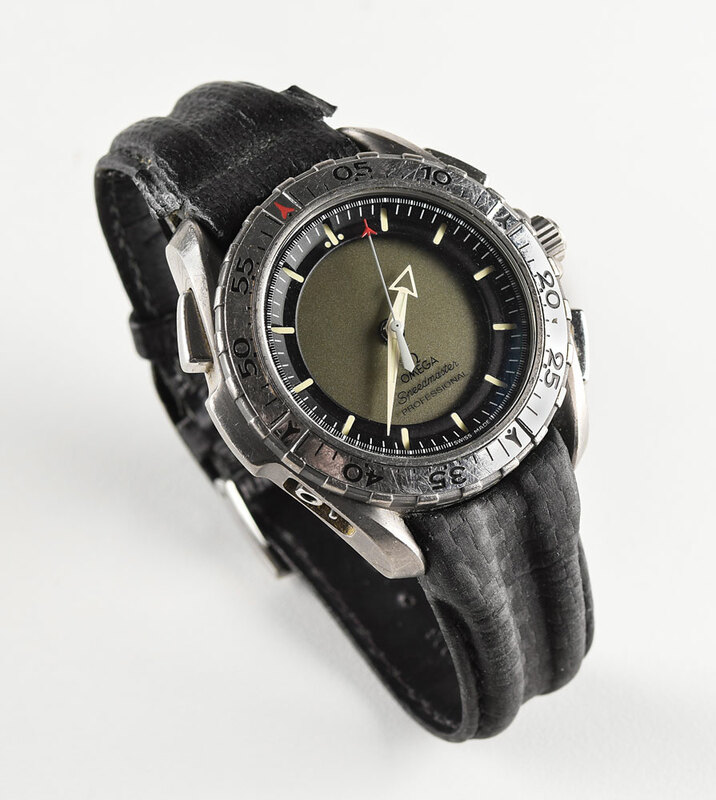 Cosmonaut Nikolai Budarin's flown Omega Speedmaster Professional X-33 analog-digital watch used on the International Space Station during Expedition 6, carried to the station aboard the Space Shuttle Endeavour on STS-113, and returned on Soyuz TMA-1. 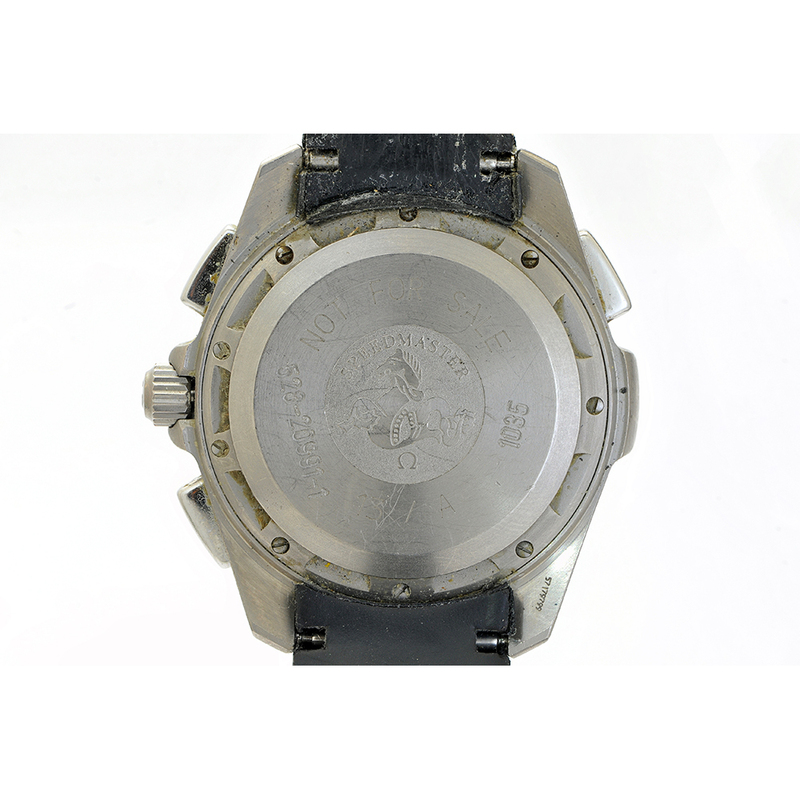 The watch features a 41mm titanium case on a black leather Omega bracelet, engraved on the caseback with "Not For Sale, 13/A," and part numbers: "528-20991-1, 1035." In very good to fine cosmetic condition, with light scratches to the face and bezel, and heavy wear to the upper half of the watchband where it attaches to the body; function untested. 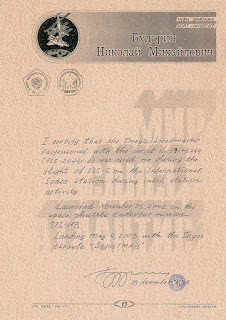 Accompanied by a handwritten letter of provenance signed by Budarin, written on flown stationery, in part: "I certify that the Omega Speedmaster Professional with the serial No. 57179799 (528-20991-1) was used by me during the flight of ISS-6 on the International Space Station during intra station activity. Launched November 25, 2002 on the Space Shuttle Endeavour mission STS-113. 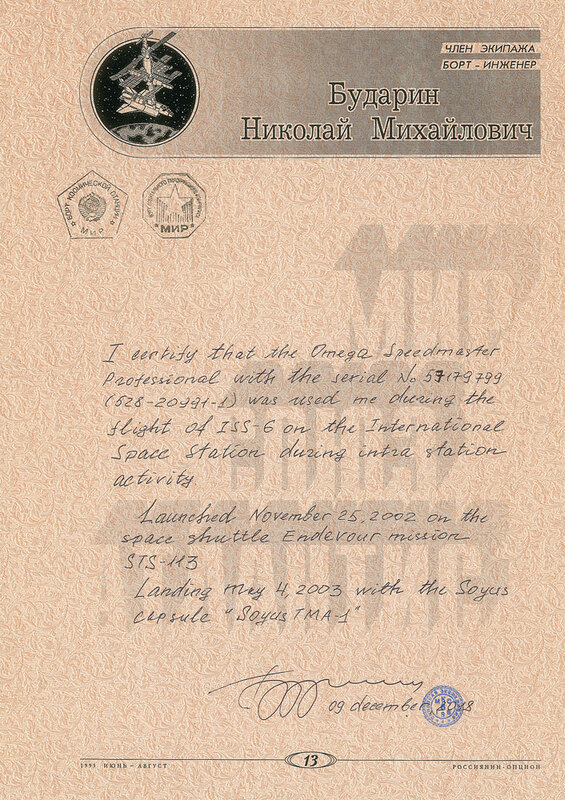 Landing May 4, 2003 with the Soyuz capsule 'Soyuz TMA-1.'" 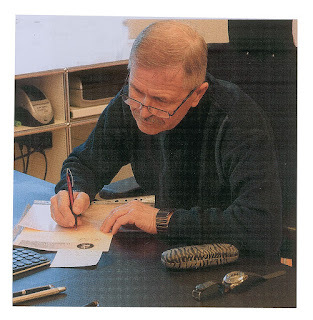 Also includes three images of Budarin with the watch while writing and signing the letter. 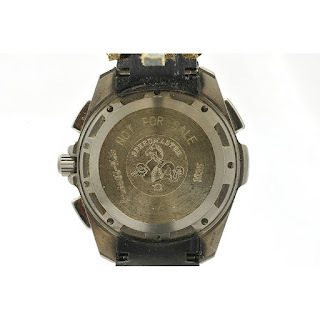 This particular watch was in space at the time of the STS-107 Space Shuttle Columbia disaster, which resulted in the indefinite suspension of Shuttle flights—the reason that it returned to Earth aboard Soyuz TMA-1. As can be seen one of the pushers is missing. I am pretty sure the watch will need a servicing. The case back... Not For Sale. Other numbers are I suspect NASA codes for the watch, 528-20991-1, 1035 and 13/A. 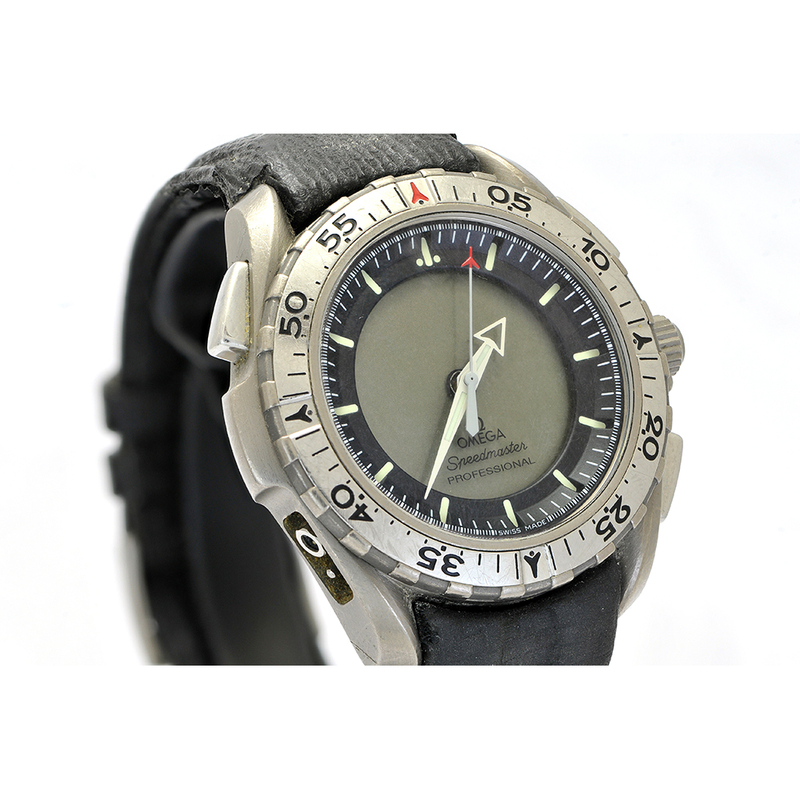 The watch will come with a letter of authenticity. You can see Cosmonaut Nikolai Budarin's watch at his side as he writes the letter. 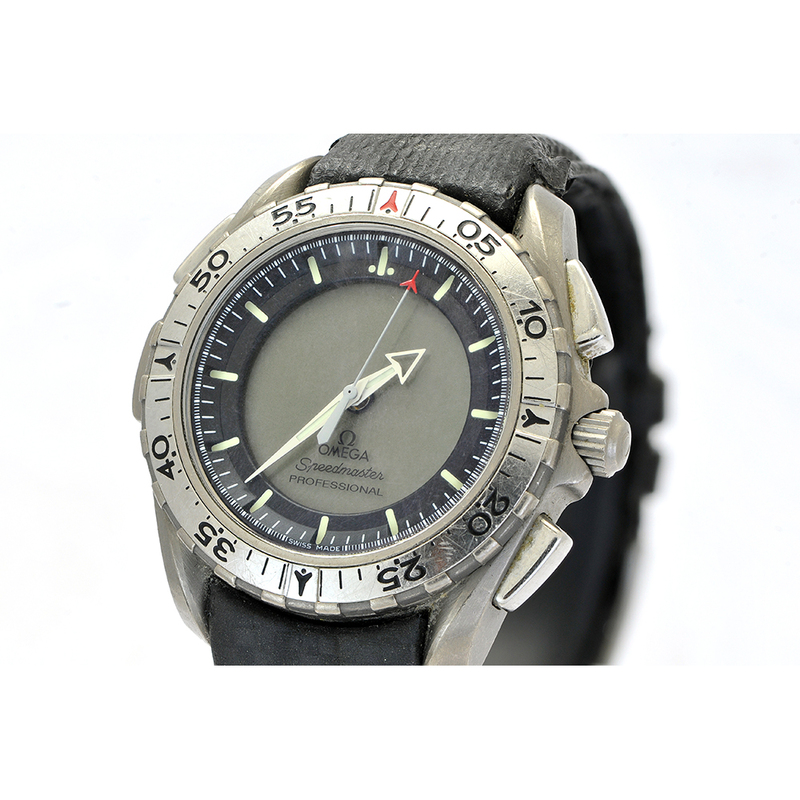 There are two other Omega X33 up for auction at RR Auction. Oh, I am in no way regaled to RR Auction.